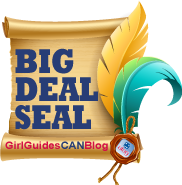 Update: This post was voted a 2012/2013 GirlGuidesCANblog Big Deal Seal winner in the Cookies category! Bravo blogger Katherine! Now that I’m a Pathfinder Guider, STOP! I wince each time I hear this, and I desperately hope there aren’t any girls, younger or older, within earshot. It is usually meant in good humour, as a tease between Guiders. But please think about the undermining and self-esteem-eroding messages we ALL hear in this. If a young girl hears her leaders praise her efforts at selling cookies “because she is cute”, what does she learn? That it is her physical appearance that is compelling. That the people who buy and support Guiding are doing so because of her cuteness. That she is effective because she is cute. What do the older girls learn from this? That they are less effective; less able to “compete” with their younger Guiding sisters because they are not as cute. Will my wonderful, confident, intelligent, capable Pathfinders carry this impression with them as they find their place in school, in their careers, in their relationships, and in society? What do Guiders learn from this? That we are in competition with each other to try to sell cookies? And that our “success” is based on how cute our girls are? That females are more successful if we are cute or pretty? That we can manipulate and compete if we are cute or pretty? For me, this is NOT what Girl Guiding should be instilling in our girl or adult members. So please – praise the girls for how polite and friendly they were (sales skills). Praise them for how well they set up their sales table, and made it easy for customers to know why the cookies are for sale (presentation and communication skills). Praise them for choosing good places to sell (marketing plans, market research). Praise them for how well they cooperated together (team work). But please stop undermining us all by suggesting we succeed or fail based on how cute we are. We succeed with our great ideas. We succeed with our passion, strengths, and talents. We succeed with the care and support of others. We succeed because we believe in ourselves. We succeed when we have goals and a vision for what can be. That’s what we want to teach our girls. By first time guest blogger Katherine Corbett, aka Chickadee, of the 1st Oak Ridges Pathfinders, Oak Ridges, Ontario. 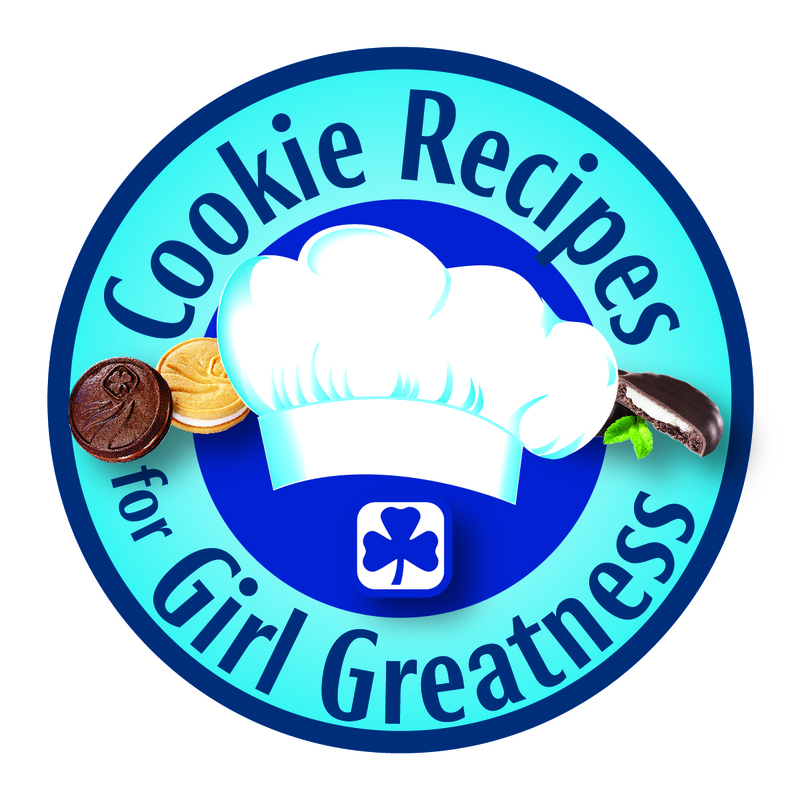 This entry was posted in Cookie Bits N Bites and tagged brownies, cookie day in canada, cookies, female role model, pathfinders, self esteem, spark. Bookmark the permalink. 11 Responses to Yes, She’s a SPARK. No, She isn’t Cute. This is an important message. Thank you for sharing it. yet another blog entry of someone overreacting, and reading way too far into something. good lord! Are you a blog troll…..as that is a type of response I would expect from a troll. Not to “read too far into something and overreact”, I can speak only from personal experience and have seen the looks of disappointment on young girls faces when they have been passed by or “rejected” and have to hear a “aren’t you cute” to the girl standing next to them (and have the person by cookies from them). I would like to think that what we can take from this blog is that as adults and leaders who are working with girls of all ages, all levels of self-esteem, we have a responsibility to ensure we are keeping the playing field level. Giving every girl the best skills that they will need for the future. I do agree with you completely that this happens and that it can undermine our self confidence. I think you have thought this out well and have presented your ideas clearly and concisely. Thank you for your thoughtful post. I think I have to respectfully disagree with part of this. Younger girls do sell more because young is perceived as cute. We have had people close the door on our Pathfinders saying they are to old to sell cookies. It wouldn’t have happened to a Spark. I’ve had customers tell me that they like buying from the younger girls more. People find it easier to say no to the older girls than they do the younger ones. I do agree we shouldn’t be telling the girls that the reason they sell more is because they are cute or let the older girls think they can’t sell cookies because they lost the cute factor. Cute only goes so far. A rude Spark isn’t going to sell many cookies. Manners, presentation and communication skills will always help you succeed more. The Pathfinders can succeed in selling as much as the Sparks but they do need to knock on twice as many doors. I understand your point here, but you can’t ignore the fact that it’s true. Sparks can sell case after case of cookies because they’re adorable. Like kittens or puppies, small things are cute. And I feel like Pathfinders understand that. The real question we raise here is at what point do we stop telling our girls the truth to make them “feel better?” The harsh, bitter reality, unfortunately, is that people like to buy cookies from little ones. That’s not going to go away by not using the word cute. There’s clearly something missing if your Pathfinders are whole-heartedly believing that they can’t sell cookies because they don’t look good enough. The real reason they can’t sell cookies is because they’re not five. People expect more ingenuity out of an older girl than a five year old going door to door. For this reason, people will buy cookies from Pathfinders that set up a table at a fair, or a community event, or a grocery store, and are enthusiastic. There are other ways of selling cookies besides going door to door. A lot of the time, the Pathfinders will also combat this issue by selling cookies as a bridging event with Sparks or Brownies, where the Sparks do what they do best, happily ringing the doorbell being adorable, and being super proud when they remember what they’re supposed to say. And the Pathfinders get to encourage the little ones, keep track of money and sales, and answer questions that are over the heads of the Sparks, such as questions about peanut-free, and nutrition facts, and where the money goes. Lying and not saying Sparks sell cookies because they are cute is not the answer. Making Pathfinders realize what skills they can bring to the table, and getting them to think outside the box is. The whole point of Pathfinders is to learn to think on your feet and outside of the box. The reality is right or wrong physical appearance does affect wether someone gets a job, kind comment, or many other perks in life. That being said I find Pathfinder sell less as they are texting or ignoring customers where as the sparks are excited to sell. When we praise based on effort – “you sold so many cookies because you worked hard” or “you did so well on that test, you must have studied” we enforce the ideals that work and effort equals success. Our children will work harder for more successes. When we say “you sold so many cookies because you are cute” or “you did well on that test, you must be smart” we are telling them that their success came without any effort. They will not learn that success comes from effort, and will ultimately not be as successful as those that work for results. How very true this is “because you’re cute” should not be the praise offered it does not instill a willingness to put in an effort for the tasks at hand. We all learn at home that “cute” works. All things small and wiggily are “cute” and as humans cute brings smiles and happiness to our lives, cute grows up. With strong minds and hearts guiding challenges us to push our boundries for the most part in a safe environment teaching girls resposibility and good work practices. The end result is that all learn the value of the dollar, communication and team work to SELL THE SAME STYLE OF COOKIE FOR 100 YEARS. So my challenge to all cookie sellers this season ask your customers if they would like another choice along with our classic sandwich selection. Perhaps a shortbread, a oatmeal, another type of biscuit, in closing YOU GO GIRL the more cookies we sell cute or not the better the program for the girls. “Cute” is not a reference to beauty in this case. It also has nothing to do with gender and everything to do with age and size. And Sparks are adorable if that is the term preferred. Pathfinders understand this and have even been known to take advantage the fact to increase their cookie sales. English has words that mean many things in many ways. Perhaps instead of assuming it is an insult, ask the person what they mean by it. It could save some negative feelings this way.